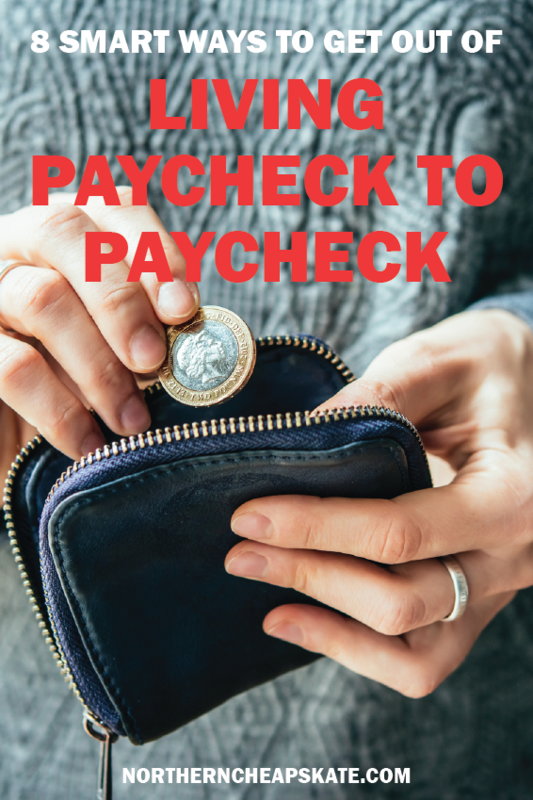 If you think you are the only one living paycheck to paycheck, you are not alone. Probably your friends, family, even those writing and reading this article can all agree that if you were to miss a paycheck from work your whole life could be turned upside down while you get behind. It is a scary thought, so just in case of an unfortunate event or job loss, it is important to get ahead and have a little cushion in your life and ease the burden a bit. You might be thinking to yourself, how are you going to come up with extra money to fund another account if you are already barely making it by, but the truth is, you need to make some sacrifices, something we will get into a little later in this article, but you should put extra money toward building a fund that has at least three to six months’ worth of expenses, so that if anything were to happen, you’d have the available cash to pay for it instead of putting on a credit card. Sure, we do not want to get rid of anything that we may regret later in life, but there comes a time that if you have something of value and need the money, then it is time to sell. Whether it is having a garage sale, selling on eBay, or putting up on Craigslist, it may be tough but necessary decision to generate extra money, especially if it means putting towards or getting out of debt. Along the same lines as we just mentioned about selling items around the house, coming up with extra income is important if it means giving a little cushion from living paycheck to paycheck. There are plenty of part-time jobs in retail, restaurant, or manual labor that can you can earn extra money by working a second job. Sure, you value your free time, but if you look at the goal of providing for your family, it can be a no-brainer. If you might be thinking that you do not even have a budge, let alone following a strict one, the fact that you could even start one would get you ahead of the game. Studies have shown that two-thirds of Americans do not even follow a budget. It will take some tweaking along the way, but if you can account for every dollar coming in, going out, while allotting for monthly expenses such as bills, gas, food, spending, savings, while coming out ahead, you will be in great shape. Now that you can dive a little deeper into the budget to gain extra money each month, one place to start would be avoiding going out to eat. There is a such a markup for food that if you were to go grocery shopping for a fraction of the cost you could prepare breakfast, lunch, and dinner, not to mention your morning coffee, each day, and watch the money start to pile up, just by not going out to dinner. So now you have a budget and got rid of one of the largest spending areas in any given month, you can take it a step further and try and reduce any unnecessary expenses. A good place to start would be to go over your account statement and circle every item that could have been avoided, such as drinks/popcorn at the movie theater, or the movies all together and watch at home. If you are looking now at the big picture at the largest monthly expenses that you have that you could scale back on, it would be your housing (which then includes utility bills), as well as car loan/lease payment. It is important not to live beyond your means, earning the term “house poor”, spending most of your money on living expenses. After all, life experiences are important, so if you can have a smaller home or cheaper car, go for that. Making sacrifices is tough and it may get frustrating after a while making you wonder if it is all worth it. As I just mentioned, life experiences can even be more important than what you have in the bank, but you need to save for the future to be able to continue to live life to its fullest, so make sure you are doing your best to save every extra dollar for your golden years. Setting up a strict budget plan in place is a really good way to save money, too! Having it written out and paying in cash also helps.